Rod mill and ball mill are both used to grind ore, and be chosen according to the different working condition. Generally speaking, different contact mode determines different grinding granularity. 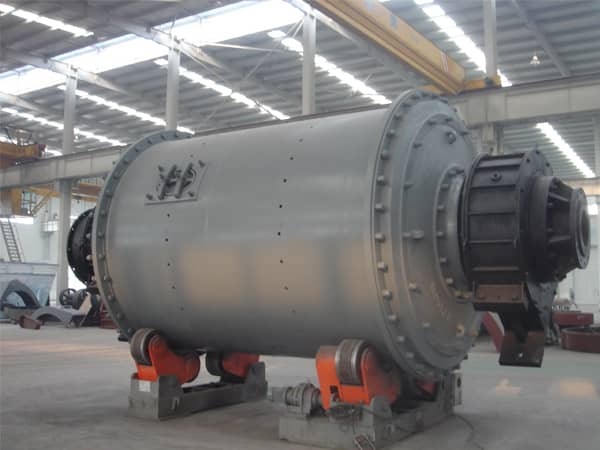 Rod mill is applied for coarse grinding for the reason that its media is steel rod and is liner contact, while ball mill is applied for fine grinding for the reason that its media is steel ball and is point contact. At present, rod mill is mainly used in manufacturing coal water slurry in coal chemical industry, quartz sand, silica sand, tungsten ore, potash and soda feldspar, bauxite and so on. But more and more people are using rod mill in the international market because of the concept of more crushing less grinding is accepted by more people with the great change of grinding process. The development speed of domestic steel rod is slow, it is not scientific to use round steel to make wear-resistance steel rod. Because of low hardness with around HRC12, easy broken, loose internal organization of round steel, it may have many problems such as large abrasion, bending, break, twine, thinner end, low output, large workload in magnetic separation process, etc. Luoyang Dahua strives for manufacturing excellent wear-resistance rod mill to serve the customer. After many years of research and development, Luoyang Dahua successfully developed a new type of wear-resistance rod which has the feature of low abrasion, unique chemical component, high hardness (HRC45-55), and strong toughness. After tempering, remove its inner stress, no break, with good straightness, the comprehensive effect is 4-6 times than normal round steel. Now our products have been exported to more than ten countries and regions, and have been trusted by users all the time.